At OpenMarket, we want to do seriously good work. But we also want to have a good time doing it. That spirit runs through everything we do. Being chained to your desk late into the night might work for some companies, but we’re not one of them. And we like to keep things casual – we’re a suit-and-tie free zone. Getting the work-life balance right is incredibly important to us. That means we trust our people to do great work – exactly when they do it is up to them. Working here is genuinely a pleasure. There’s a really good internal atmosphere and everyone organizes teams and activities (climbing, football etc). The company has really good values of authenticity, transparency, ownership etc. and they actually manage to follow them in a genuine, non-cheesy way. Genuinely couldn’t be happier with this role. Work is a whole lot better when you get along with the people you’re working with. All our offices have different ways of encouraging the OpenMarket community spirit. 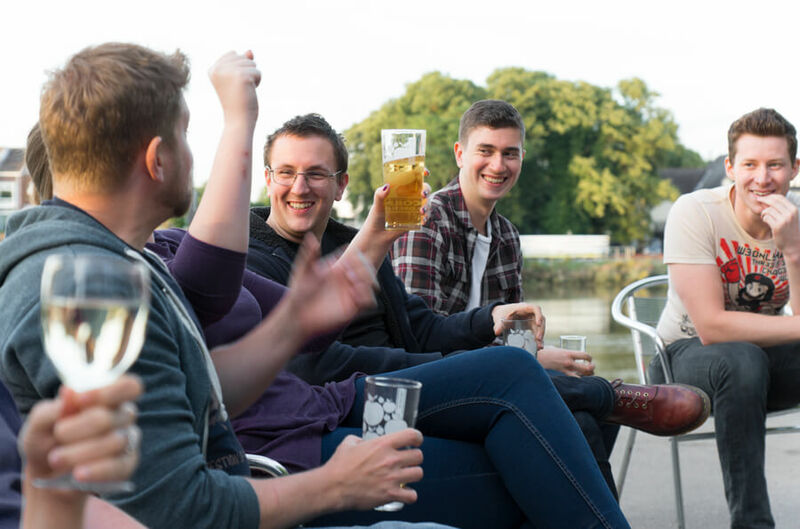 Whether it’s sailing trips, going to the theatre, video or board game nights, or simply heading to a bar or restaurant, we like to get together and be social. If you’ve got specific questions about the benefits we offer, we’d love to talk you through them.